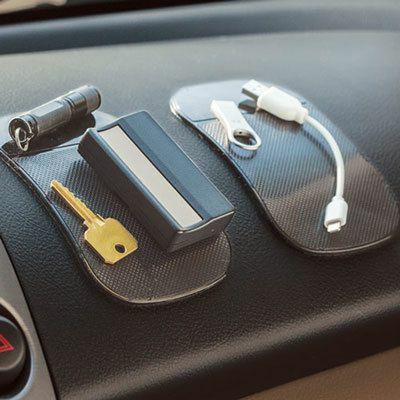 Just because you live in your car doesn't mean you have to keep losing things in it! Our magic sticky Dash Magic Pad surface attaches to the dash and holds items so they're always at your fingertips. Temperature resistant. Easy to clean. 5¾"h.